I'm a huge fan of The Twilight Zone, a classic TV show I grew up watching. I'm thankful that the MeTV network is once again airing the clever and intelligent old shows. The Twilight Zone offered a mixture of suspense, fantasy and science fiction about crime, war, morality, and humanity. 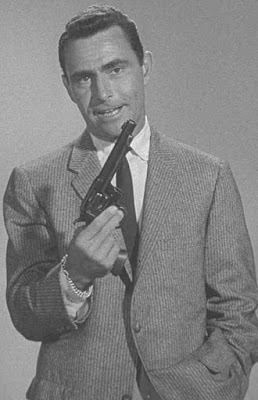 The network's web site, mMetv.com, offers a piece on the face and soul of The Twilight Zone, the late Rod Serling. Although I don't subscribe entirely to his worldview, I though he was a brilliant and creative writer and television producer, as well as a very good host and presenter. 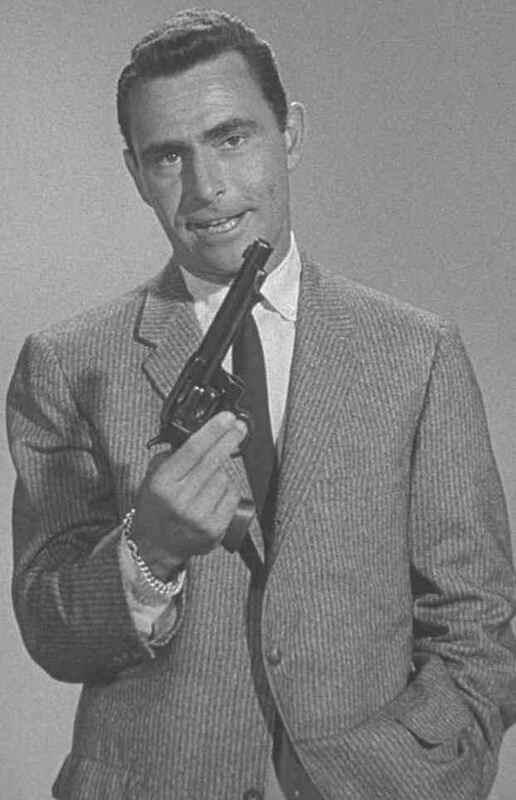 One of television's brightest, most literate pioneers and a true believer in the medium, Rod Serling was known as the "angry young man" of Hollywood early on in his career, clashing with studios and sponsors in his quest to loosen the corporate grip of censorship and write freely on controversial topics. The man would maintain that outspokenness as an artist and a thinker throughout his career. Today, the acclaimed writer is most revered for having had the ability to produce works of drama that probe the human psyche in an imaginative and thoroughly unique way, many demonstrating a deep love for humanity and the belief in the possibility of a better tomorrow. From The Twilight Zone to Night Gallery and everything before and after, here are 15 fascinating facts about Rod Serling.